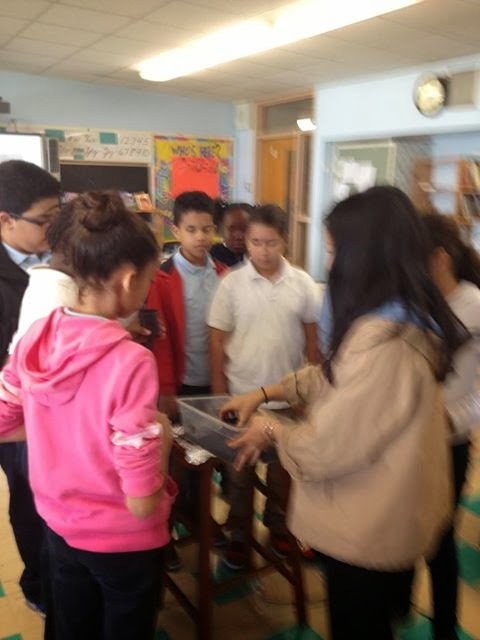 ARCK's STEM/Visual Literacy Integration Initiative in collaboration with the MIT D-Lab is working give 5th grade students at the JFK Elementary School a chance to use the design process to solve real-life problems. Their projects are design to support critical thinking and their ELA curriculum. This week's project? Pulling from their reading, "The Island of the Blue Dolphins", students learned how to make charcoal to cook with out of corn! Let's put some ART in with science, technology, engineering, and math. Let's make some STEAM! How do we talk about visual information? How do we communicate through art? The creative process is vital to developing thinking skills that apply directly to areas such as design and engineering. Link: Art Students Are Awesome! Event: Dance for Art is Tonight!